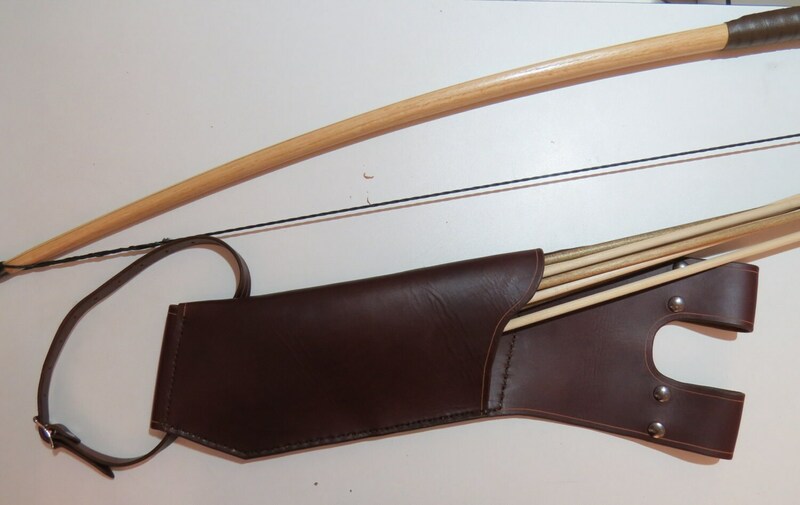 This listing is for a handmade leather hip quiver. 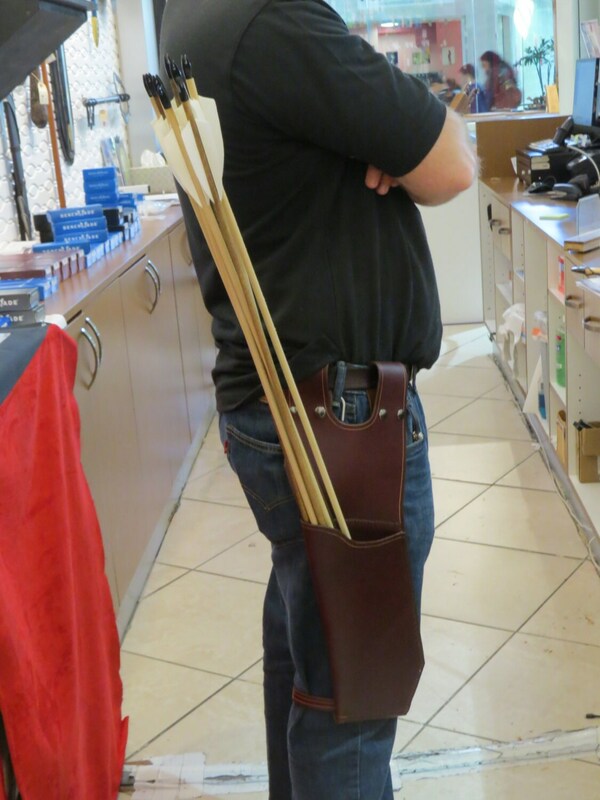 The quiver is attached to the hip via two straps that snap closed, and attached to the leg via a strap and buckle. 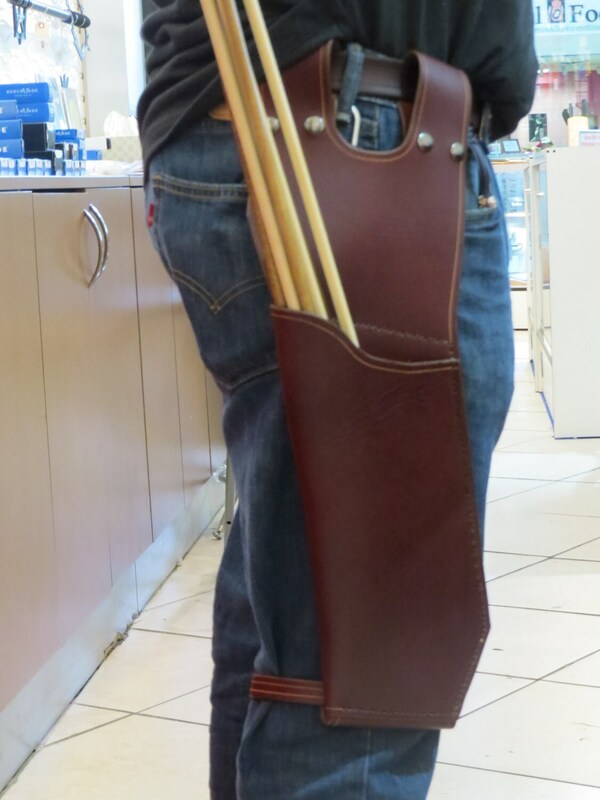 The quiver comfortably holds 12 arrows and directs them slightly behind you to keep out of your way while shooting, but not so far behind you as to cause issues while walking. 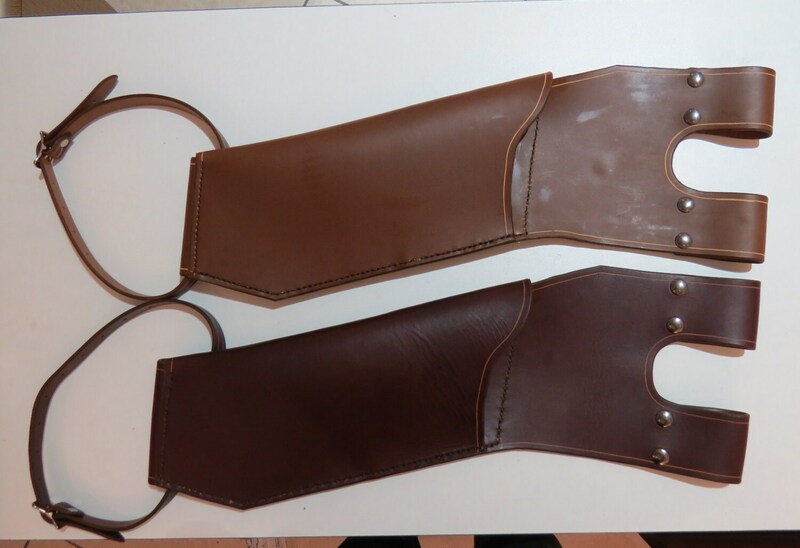 The picture with two quivers shows the light brown one on top, and the dark brown on the bottom. The black one looks like those two, but is black. 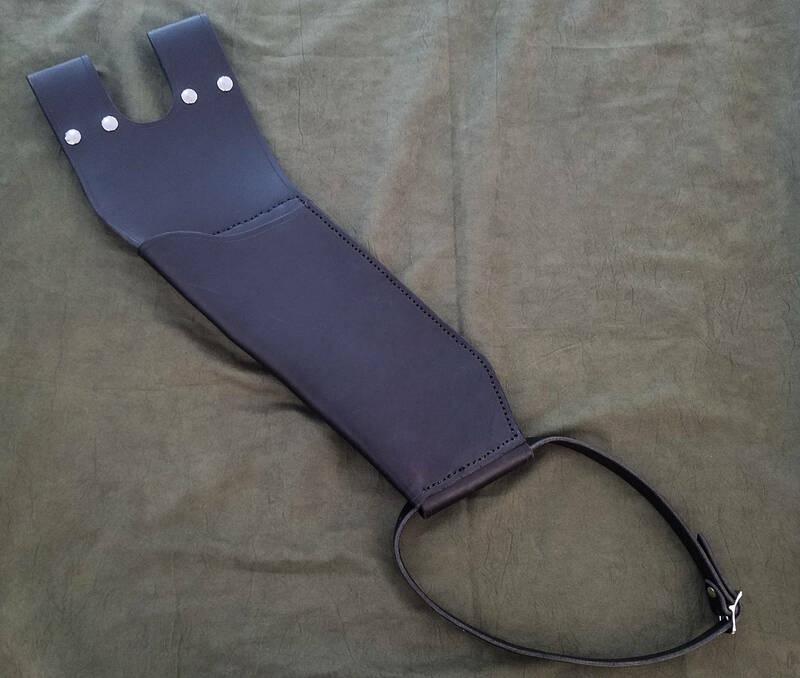 If you have any questions or want a customized version of this item, feel free to contact me.